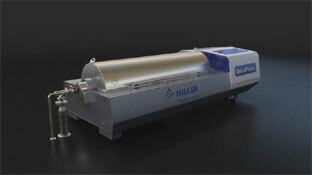 Hiller Separation & Process is a company motivated by customer expectations to design and produce machines featuring the highest level of sophistication and quality gained from several decades of decanter centrifuge manufacturing and application field experience. The newest machine from Hiller is the Model DP484 Decanter Centrifuge, which reflects our ongoing commitment to mechanical development and process optimization. 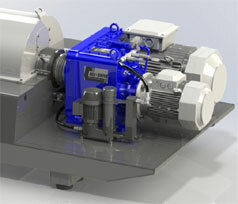 The all new Hiller Model DP484 Decanter Centrifuge enables us to provide our valued customers world-class standards for high-performance decanter centrifuges on a variety of municipal and industrial wastewater treatment plant applications guaranteeing optimal process results with the highest level of reliability. 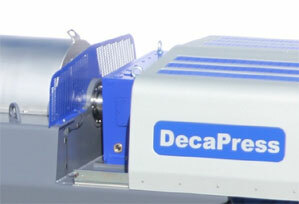 In less than optimal conditions the DP484 still provides: Up to 3% DS more than our competition! Toshiba VF-PS1 inverters are standard and included in price as best value for the money. Deviations not normally possible (Hiller head office to be involved, case by case). ALL decanter relevant functions included, e.g. 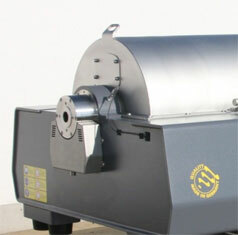 bearing temperature, vibration, etc. The DP series centrifuges are manufactured in our modern factory in Vilsbiburg (Bavaria) Germany and are subject to strict quality controls and manufacturing standards. And the care which is taken during manufacture and our 24 hour service support is also reflected in the satisfaction of our clients. Feel free to ask about our reference list of satisfied customers worldwide. 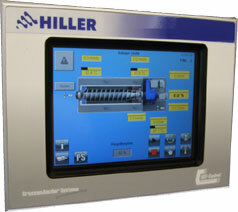 Hiller Separation & Process US based in the Austin, Texas area is the factory direct sales and support office servicing North America for Hiller Separation & Process GmbH of Vilsbiburg, Germany.